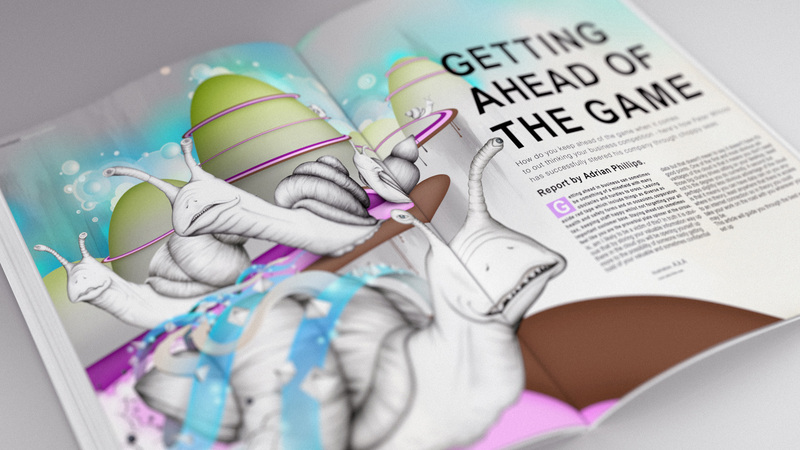 We were asked to create a double page editorial piece for our client. 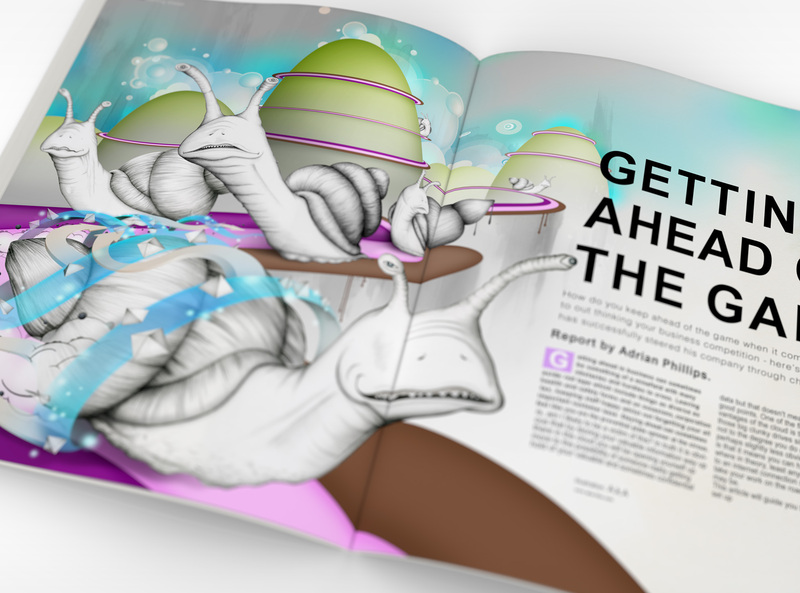 The feature was all about getting ahead in business so we thought it would be fun to illustrate this with a rather abstract snail race. To create this piece we used some traditional airbrushing, no CG can really emulate the wonderful texture true airbrushing can give you. 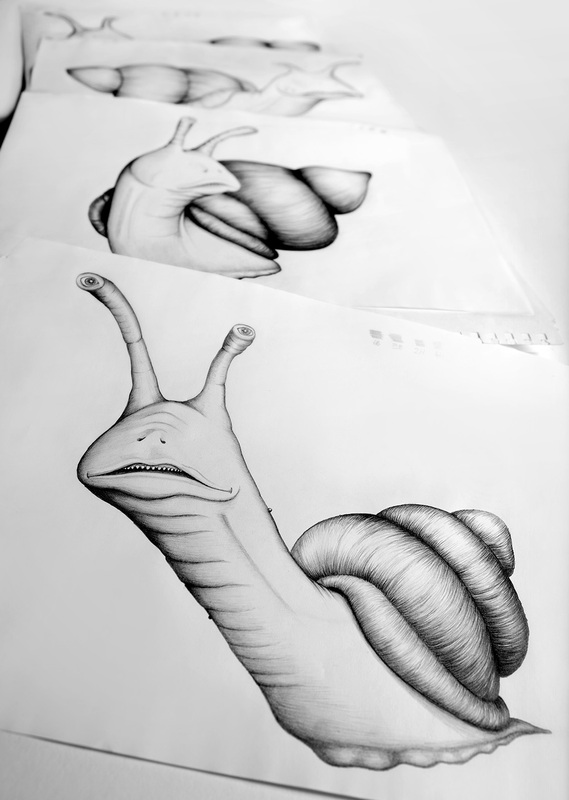 We also produced a series of highly detailed large pencil rendered snails, hell we even named them! All hail the snail!! All elements were painted together using trusty Photoshop and some nice vector imagery. A really fun project! Oh, and in case you're wondering, Ian won the race but sadly, Brian was eliminated due to his use of performance enhancing drugs. Shame. 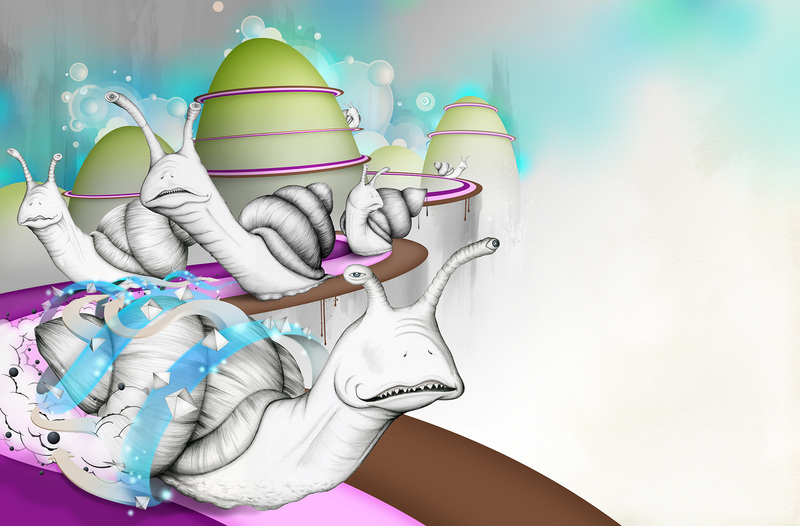 Here's our pencil renderings for our snail race. Each one of these drawings was A3 in size. They lived up to their image and speed as each one took quite a while to create but we love a bit of drawing round here! We are pleased to say our client was delighted with the end results. Over all our project took around a week to complete.